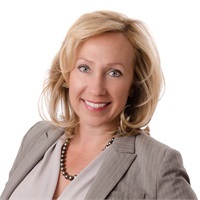 Melissa Myers, CERTIFIED FINANCIAL PLANNER™ professional, has been in the financial services industry since 2000 and earned the CERTIFIED FINANCIAL PLANNER™ certification in 2012. She believes that regardless of where you might be on the wealth spectrum, everyone can benefit from a financial road map. Think of Myers as your financial GPS. She'll help you determine where you are, where you want to be, and she'll provide the services to help you pursue your financial destination. Giving back to her community is important. In support of the local arts Myers served a seven year term as a board member for the West Michigan Symphony Orchestra. Additionally, she is a member of All Shores Wesleyan Church and volunteers as a budget counselor in their Good $ense Program. In November 2016 she became a certified Faith and Finances facilitator. Myers is a member of Lake Michigan Estate Planning Council, Counterpart, the Grand Haven Eagles, and Tri-Cities Women Who Care. Myers is a self proclaimed foodie in search of fabulous restaurants specializing in unique and amazing food. At home she loves cooking, boating and relaxing poolside with a great book. She stays active by skiing, snowboarding, playing tennis, and going to spin class. Myers lives in Spring Lake, Michigan, with her husband, Ryan and son, Brock.